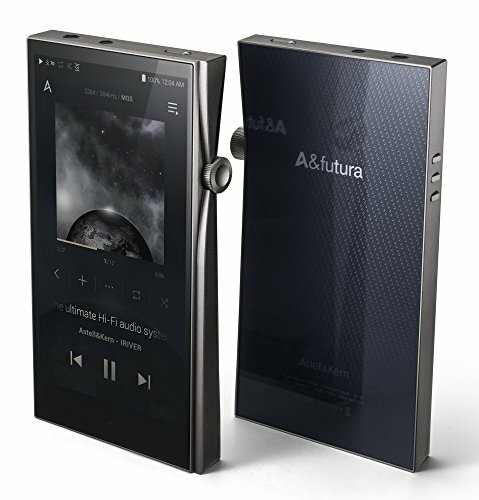 Astell&Kern almost singlehandedly created the market for high-end portable music players. If green French cartoon cats are your thing, A&K also has a M. Chat version for £ more. The SE100 utilizes the ESS Sabre ES9038PRPro DAC, which has eight separate channels for processing that are divided into four channels for the right and four for the left. It supports PCM formats from 8kHz to 384 kHz with bit depths up to 32 bits. It also supports DSD natively up to 11.2 MHz. 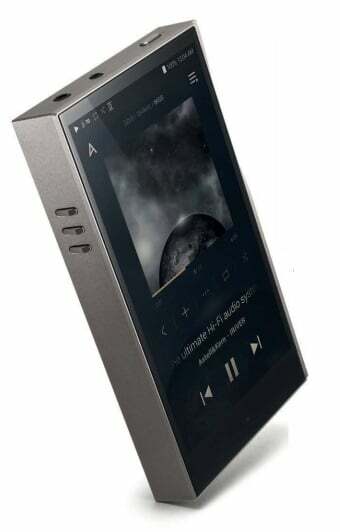 The SE100 stays au courant with all the latest Bluetooth codecs for V4.1 including A2DP, AVRCP, and aptX HD. Its built in storage maxes out at 128 GB and the single micro SD card slot can accept 512 GB cards, bringing the SE100’s total storage space up to 640 GB. The SE100 isn’t merely another rectangular box. With its angled parallelogram sides, recessed knurled volume knob, and 133mm by 76mm by 15.3mm aluminium body, it fits comfortably into your hand. Your fingers naturally wrap around the stylishly angled edges. Like past models it features a glass backplate. But unlike past models, it features a larger display area with a 720 by 1280 full colour touchscreen. With a beefy 3700mAh 3.8V Li- Polymer battery the SE100 can deliver up to 11 hours of playing time using 44/16 tracks at 75% volume levels. Recharging time is a speedy two hours. With a published spec of 123 dB signal to noise from its balanced outputs and up to 4.1 Vrms of potential output, the SE100 has greater power output than A&K’s previous flagship model, the AK380. 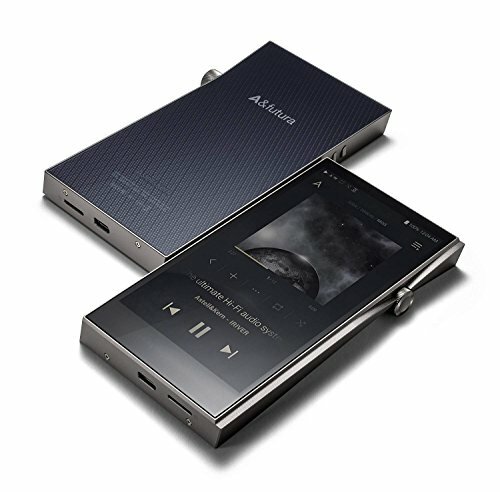 The SE100 also has superior total harmonic distortion and noise figures compared to the AK380. With a voltage-controlled crystal oscillator, the SE100 is capable of precise clocking to 800 femto seconds. 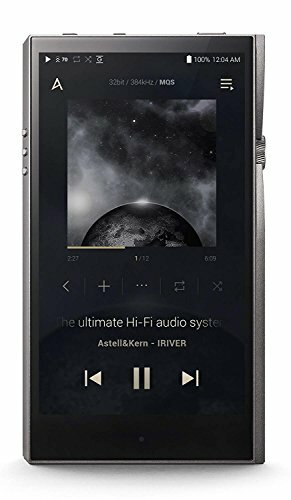 Luxury brands, such as Astell&Kern, are often accused of not offering good value, but the performance of the SE100 offers a powerful counter argument. It delivers the performance of their previous flagship model at half the price. Sonically the SE100 delivers the goods. If you want to tailor the sound, you can make and save your own EQ settings. 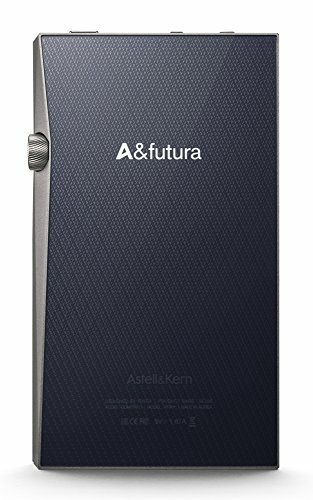 As with past Astell&Kern players, the SE100 comes without a dedicated case, but you can purchase a Toscano leather case in blue, red, or black for an additional $ from A&K’s website. Also, like all previous Astell&Kern portable players the SE100 has an ergonomically elegant operating system. It turned on in under twenty seconds and the menus are laid out in a straightforward, logical manner. I like the fact that AK Connect, which lets you stream from your home system’s NAS, was right at the top of the primary menu. 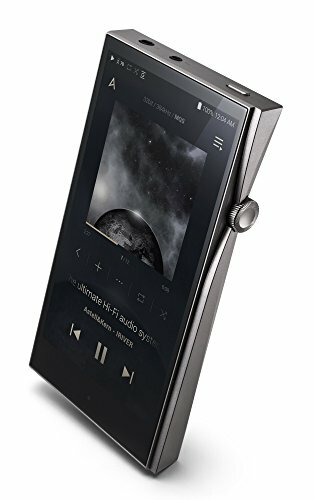 Headphone compatibility wasn’t an issue with the SE100. 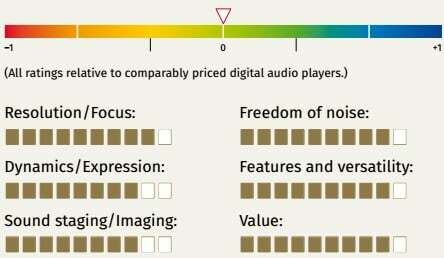 It had sufficient gain, even from its single-ended output, to drive Abyss Diana headphones and Beyerdynamic DT-990 600 Ohm headphones with no issues. At the other extreme, the SE100 exhibited no extraneous noise or hum when playing music through a set of 115 dB-sensitive EarSonics EM10 CIEMs. Sonically the SE100 delivers the goods. If you want to tailor the sound, you can make and save your own EQ settings. My early Rolling Stones albums especially benefitted from some EQ adjustments. When I compared the default “normal” EQ settings with EQ off, the normal EQ setting had slightly lower volume coupled with a tighter, more controlled low end. I made several “UserEQ” configurations for “bad” recordings such as my Charlie Christian box set. I especially like the fact that you can easily erase especially egregious EQ experimentations. protective film 2x for front and back, warranty card, Quick Start User Guide.